The great Russian patriot, creator and immortal director of the Don Cossack Choir, Sergei Alekseevich Jaroff was born in 1896 to a merchant family in the city of Makarev in the Kostroma province. The city was located on the river Unja, an eastern branch of the Volga River. The region was famous for the Ipatiev and Makarev monasteries and the birthplace of Ivan Susanin who had given his life for his country and the first Czar of the Romanov dynasty. Little Sergei’s singing talent began with prayers that he learned from his mother. The five-year-old boy was first noticed by the choir director of the local church and then became a member of the choir. After finishing his education at the church’s prep school he was accepted to attend Moscow’s Synod Academy, which had an 11-year curriculum. Besides taking courses in music, the Academy offered a general education high school program. The rector of this religious academy was none other than the famous Russian composer, Kastalsky. 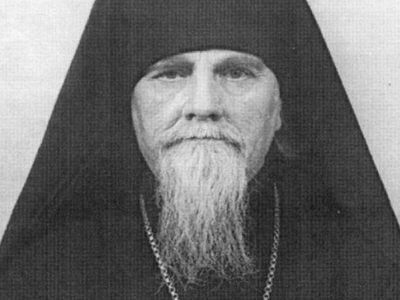 In 1911, Sergei Jaroff sang as a member of the Moscow Synod Choir at an international musical festival in Rome. It was there that he first met the composer Rachmaninov, who was there for the premier of his “Holy Liturgy”. When Sergei was 11 years old he lost his father and had to work to support his brothers and sisters. He earned his living by transcribing musical notation and assisting in conducting the Seminary Choir. During the First World War, through the recommendation of the composer Kastalsky, Jaroff was invited to direct a choir of 40 singers who sang at concerts for wounded war veterans. In 1917 Jaroff graduated from the Synod Academy with honors and was sent to the front as a machine gunner of an attack battalion of General Korniloff. Later, when the Civil War began he left for the Don region where the anti-Bolshevik White Russian Army was being formed and was recruited to serve in a regiment. In this regiment he became an officer and standard-bearer of the Cossack division, as well as its choir director. While in combat against the Bolsheviks, Jaroff distinguished himself in acts of bravery as a gunner. The White Army lost the Civil War and was forced into exile. Though certain allies made some attempts to help the “whites” (on the island of Gallipolis and Lemnos), the lack of supplies and forcing them to live in bombed-out barracks and bunkers better demonstrated their true feelings for the Russians. There, however Jaroff made new attempts to organize a choir. One of the first people who assisted him was my uncle (a brother of my mother), Nikolai Lomakin, a Cossack officer. Many years hence, already living in America, I met with Jaroff while my uncle would pay us visits from Paris. There in Freehold, New Jersey I would listen with great interest to their conversations about the early choir years. In 1921 the Cossacks left Lemnos and went to Bulgaria where Jaroff began giving his first concerts and singing in the Russian church. All of the members of the White Army lived in barracks and did all they could to survive. Then came the overthrow of the pro-communist regime with the help of the White Army veterans. The traditional Bulgarian Constitution was re-instated and Czar Boris III returned to the throne. Jaroff’s choir was invited to sing in the grand Cathedral of St. Alexander Nevsky, which was built to commemorate the overthrow of the Turks in 1877-1878 by Emperor Alexander II. The choir’s performance attracted more than 5000 people and, subsequently, added to their new notoriety. With the support of the famous Russian ballerina Tamara Krasavina, many Russians and others, the choir was invited to Vienna and would launch triumphant tours around the world to Austria, Czechoslovakia, Switzerland, Italy, Germany, Holland, England, Romania, Hungary, Yugoslavia, Australia, New Zealand, and the Baltic countries. During the first seven years of the choir’s tours they gave more than 1650 concerts and were received with great enthusiasm by both friends and foes alike. Sergei Jaroff always tried to bring new excitement to the choir’s performances. 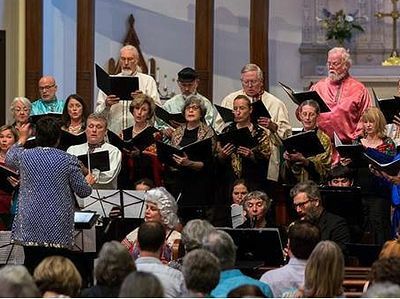 He was determined to bring fresh ideas to the choir’s sound by applying the musical principles inherent to that of a string orchestra—at certain times while half the choir would sing with a closed-mouth, the other half was open-mouthed. He also introduced falsetto singing thereby expanding the range of the choir to great effect. Jaroff wrote the musical arrangements himself for both religious and popular compositions. He tried to avoid the template, standard approaches, which could make the choir sound too predictable or mechanical; rather, he always tried to maintain nuance and a certain tension in the singing. In the summer of 1930, the Cossack Choir went on a concert tour of North America where they gave 41 concerts in 32 cities—earning their greatest success at the Metropolitan Opera in New York. 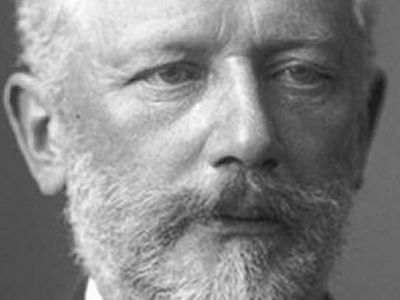 They also sang at Carnegie Hall, where at its gala opening many years before, Peter Tchaikovsky had conducted the orchestra for the first time. After a short return to Europe the choir made a permanent move to the USA, and in 1936 the members of the choir received their first citizenship documents. By 1943 the entire choir became citizens of America. During the Second War the choir often sang for American servicemen, and after the war was over the choir resumed their concert tours to France, England, Holland and Germany. It was at that time that the choir sang for the American Commander-General Eisenhower in Frankfurt who asked for an encore and thanked them in Russian. On April 19, 1951, the Jaroff choir performed its only concert in Buenos-Aires in one of the best and newest theatres, “The Broadway”, located on Corientas street, the largest commercial street in the city. I bought tickets ahead of time: for myself and for my wife, Maria Vladimirova de Beck. The hall could not accommodate all of those who wished to attend. Because there were many Russian emigrants in Buenos-Aires who had arrived there from the various Displaced Person (DP) camps in Germany, there were huge lines in front of the ticket counter. This concert became a big national holiday for the these emigrants, especially after all of the humiliation and forced repatriation by the Allies that they had endured in the camps. Now they could once again recover their sense of Russian pride and dignity that the Jaroff choir brought to Buenos-Aires. During the intermission I went backstage and met many old friends from my high school days in Bulgaria. Among them was Vanya Berezov who was always remembered for his service at the Pescherskiy Church school: his reading of the Gospel while a member of the choir and amazing everyone with his thick and powerful basso voice. There was also Garik Egiozarov, who, while attending a Sofia high school, participated in parades on the streets of Sofia and as the song leader because of his strong, high tenor voice. They were older than me. While visiting Bulgaria, Jaroff made them members of his choir, something that he did often while visiting various countries. He always sought out powerful young voices from the educated and religious Russian families. Vanya and Garik greeted me like a long-lost brother. That is where I met Jaroff, and I continued a business relationship with him when I became a radio broadcaster. Through these contacts I was able to acquire many of the Jaroff recordings from America and Europe. Jaroff was small in stature in comparison to the members of his choir and would stand on a raised platform during their concerts. His style of conducting was unique—he didn’t wave his arms, standing completely still with his back to the audience he gave indications only with raised fingers and facial mimics to his choir members. For Jaroff, conducting was a very intense and stressful exercise. I would see him backstage during the intermissions—his face red, covered with sweat, and his tunic completely soaked from the performance. I recalled the time Jaroff’s choir came to Bulgaria in 1935. They came to sing for the memorial service of Alexander II—the emancipator of Bulgaria from the Turks (1877-1878). It was held at the grand Cathedral of Alexander Nevsky in Sofia, which was originally built by Russians and Bulgarians to commemorate this historical event. Led by Metropolitan Stefan of Sofia, the service was performed by the Bulgarian clergy and Father George Shavelsky, the director of the Russian church high school. Our high school was asked to attend the service, and we, as always, stood in formation in our black tunics and in a place of honor—the center of the cathedral with the marble altar entrance just in front of us. To the right of the altar doors was a marble raised portico designated for Czar Boris III, his family and entourage. Next to us stood various Bulgarian ministers, Russian and Bulgarian generals in full uniform—some of whom were actual soldiers in the War of Emancipation. Present also were representatives from the diplomatic corps. The giant cathedral was filled to capacity. Neither Easter Service nor any other church holiday had ever attracted that many people. Loudspeakers had been set up to translate the memorial service outside the church. It was all very regal, and it was with a great sense of pride that we as Russians heard the Jaroff choir singing high from the choir balcony. The next day Bulgarian newspapers wrote about the “angel-like voices of the Jaroff choir”. The superb acoustics of the cathedral allowed the singing to be heard throughout the church and beyond. It was truly something unforgettable, especially hearing those high tenor falsettos singing in “pianissimo”. We stood on our knees during the prayers of, “With the saints give rest to the souls of the departed,” and “ Memory Eternal,” and I felt a warm feeling going up my spine, while those around us sobbed and cried. This was the effect that Jaroff and his choir had on us that memorable day. After an emotional sermon by Metropolitan Stefan we left the cathedral, but with great difficulty because a large contingent of soldiers and the Bulgarian National Guard had gathered for the service outside. By some estimates there were up to 20,000 people in attendance. That evening in 1935, in Buenos-Aires, it had never occurred to me that I would once again, ten years hence, see the Jaroff choir in New York at Carnegie Hall. By that time I headed the radio broadcast, “Troika”, in New York and became good friends with S.A. Jaroff. Jaroff and his family were living on 72nd street, not far from the Hudson River. I would come over to partake of their borscht dinners and work with him on an arrangement of the song, “Katusha”. Jaroff’s wife, Neonilla Nikolaevna, prepared the borscht, a favorite of Sergei Alekseevich. Subsequently, we would become almost neighbors, having both moved to New Jersey; my family and I began living in Freehold, while he lived in Lakewood. During their long career, Jaroff and his choir gave more than 9000 performances all over the world. The American president Ronald Reagan and Governor Jimmy Florio both gave the Jaroff choir a commendation for outstanding achievement. S.A. Jaroff was also honored by the Congress of Russian Americans, who placed him in their Hall of Honor, which included many Russians with outstanding achievements as Americans. Personally, S.A. Jaroff was known to be a very modest man. Though the choir began their career in the majestic halls of Vienna, their appearance on stage, then, looked somewhat drab, reflecting the trials and tribulations of their time with the White Army. They would appear on stage in worn-out, stitched-up tunics of various colors, some with rags on their feet while others in torn boots. Later, however, during the height of their fame and career, they began wearing identical black tunics (gymnasterki), Russian Cossack pants (sharovary) with a wide red stripe running down the side (the color of the Don Cossacks) and high, soft leather boots. Our high schools also wore the black gymnasterka as a symbol of mourning and the loss of our Russian homeland. Unfortunately, in his last years, Jaroff suffered from emphysema. He passed away on October 6, 1985 in a hospital in Lakewood, New Jersey. He lived not far away from there in a small house on a beautiful lake with his wife, Neonilla Nikolaevna and their son, Alesha. S.A. Jaroff was buried at the historical Russian cemetery of St. Vladimir in Jackson, New Jersey. Among the many Russians who are also buried there are: the composer Gretchaninov, General Denikin, Commander of the Cossack Corps at Lemnos and later in Bulgaria, General-Lieutenant Abramov and many other Cossack Atamans, officers and regular Cossacks. The funeral service for Sergei Alekseevich was at the cemetery church of St. Mary and his own choir, so loved by him, sang. I was there with the choir to say our farewells to our eternal choirmaster. The service was profoundly moving. We felt as if Jaroff, himself, was conducting the choir—the notes during the pianissimo sections seemed to evaporate into thin air. During the singing of, “With the saints give rest” and “Memory Eternal,” the enormous chandelier, which hung in the middle of the church and under which lay the coffin on a raised platform completely covered in flowers, began to sway and ring as the singing would rise up to the loudest, fortissimo level. It is something I will never forget. Now, once again, I was standing on my knees, just as I had done long ago in Bulgaria in St. Alexander Nevsky Cathedral in Sofia at the memorial service for Alexander II. And while Jaroff’s choir sang I felt that warm sensation going up my spine. As they continued to sing for their departed Jaroff, tears began rolling down my face uncontrollably. Memory eternal and eternal glory to this giant of the Russian spirit who covered and conquered the entire world with his creativity and the performances of liturgical music and Russian Cossack songs. Undoubtedly, S.A. Jaroff and the Don Cossack Choir will be written in history in gold letters and among such Russian geniuses as Tchaikovsky, Rachmaninov, Kastalsky, Chaliapin, Arhangelsky, Gretchaninov and the many other great talents of Russian music. The Friday, August 21, concert by the group was one of three performances last weekend — with the other two taking place in San Francisco and Berkeley — to celebrate the timeless masterpiece’s 100th anniversary. This was the sound I heard when I grew as an infant to adult. I looked forward to attending church to feel the effect and learn to love the services. To be part of this Orthodox culture is special. Official name of the choir is: Don Cossack Choir Serge Jaroff. And because of The Netherlands= Russia year a 3 CD box from 1921-today. great and wonderful artist and performer as well as the whole choir at full volume! Our late choir director, Valarion Sergeiyevich Isakov, sang with Jaroff and The Don Cossack Choir. I had the pleasure of seeing many of his personal photos of the choir and places where they sang.